I recorded a short training video that will show you how to make spreadsheets pretty in Google Sheets – a free platform that’s like Excel, but it’s created by Google and free with any Gmail address. Underneath the video, I’ve written out all the instructions I shared. Don’t forget to scroll alll the way to the bottom of this post to snag free copies of my monthly content calendar and blog post planner! Whoop whoop! All those grid marks on a spreadsheet are one thing: distracting. Let’s create our own lines, where we want them, to make a minimalistic feeling spreadsheet. So, highlight all the cells and use the border button to make all borders white. Any cell colors should also be taken out, so the background of every cell is white. First, insert a blank column to the left of your data and above your data so it’s not shoved up right against the edge. Second, increase the width of all your rows by 25%-50%. Giving each row more space will make it easier to read. 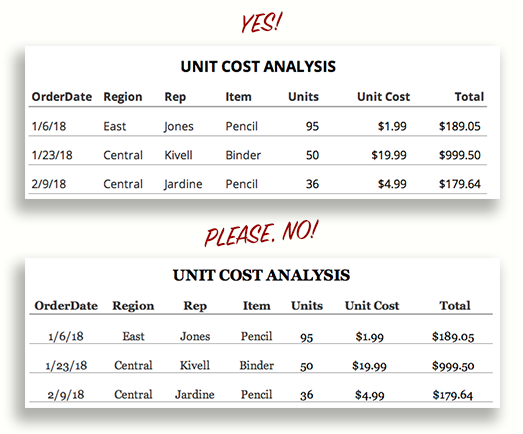 Adding in lines will help your eye follow the data. 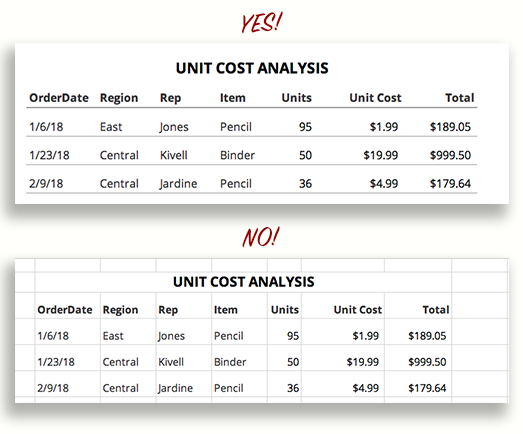 If the data is grouped in rows, add horizontal lines – columns, vertical lines! 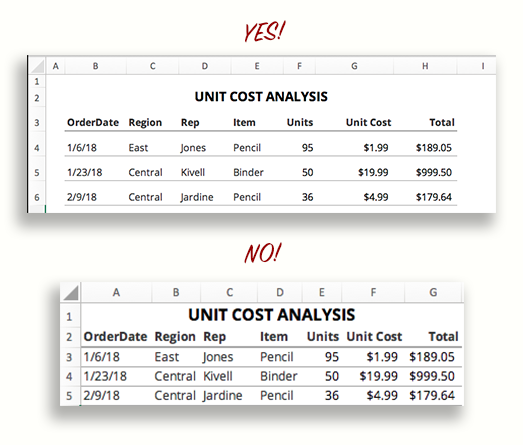 Make sure these lines are light in color so they don’t become distracting and make your spreadsheet look busy. 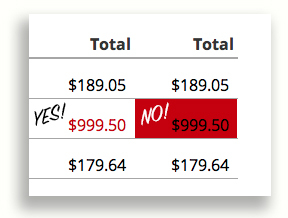 If your spreadsheet has numbers, please, for all that is good and holy, use a sans serif font for the data. I think sans serif font looks, in general, cleaner, and is a good choice for the main text of any spreadsheet. Along with a sans serif font, I like a different, fun font for my headers. One fun thing about Google Sheets is that you have access to allll the Google Fonts. 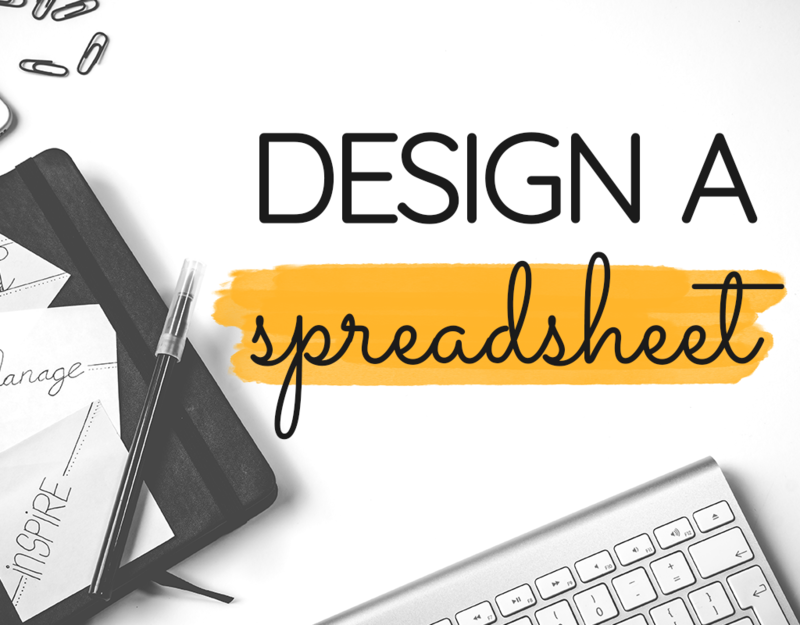 This gives you tons of freedom to play around with font styles and make your spreadsheet customized AF. Alignment – If you have numbers, two words: align RIGHT! Text should be aligned left, but center alignment can work occasionally. Use discretion and keep it consistent. If there’s text or a number (like an important date!) that you’d like to highlight within a spreadsheet, please, do not fill that cell with some bright color. Instead, change the color of the text and bold, if needed. This will keep your spreadsheet looking clean with plenty of breathing room. How’d it go? 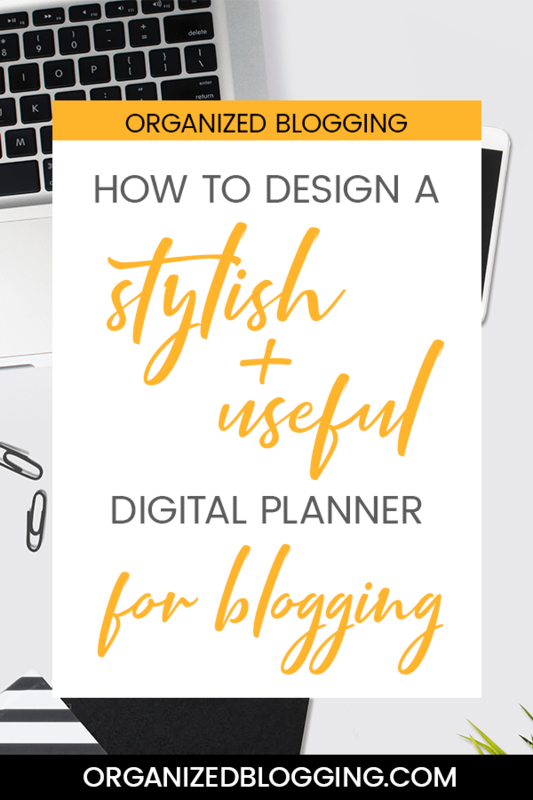 I hope you feel a little less overwhelmed by spreadsheets and a whole lot more prepared to use them to organize your blogging life! By using spreadsheets that were functional and beautifully designed, I was able to take control of my blogging life and start cranking out more content! If you have any questions, feel free to drop them in the comments. Two of my favorite spreadsheets are my monthly content calendar and my blog post planner! I’m giving you copies of these planners fo’ free, just opt in below!